Newly released is the Keter Optima Wonder Outdoor and the Keter Optima Mini. The Optima Outdoor was released a few weeks ago and is proving very popular. It is a modern, all weather resin outdoor storage cabinet designed to take advantage of vertical space in your patio/backdoor area/workshop or garden shed. It has a reinforced roof and elevated base to hold heavy items that can be enclosed in a safe environment and look tidy at the same time. 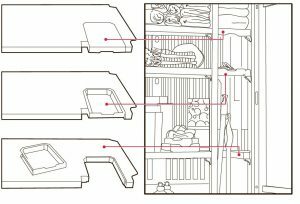 The noteworthy difference with other outdoor storage cabinets is the way the shelves can be modified to suit different storage items. The cabinet shelves can be adjusted so that the cabinet can hold brooms or long handled tools, as well as shelving for your other products. 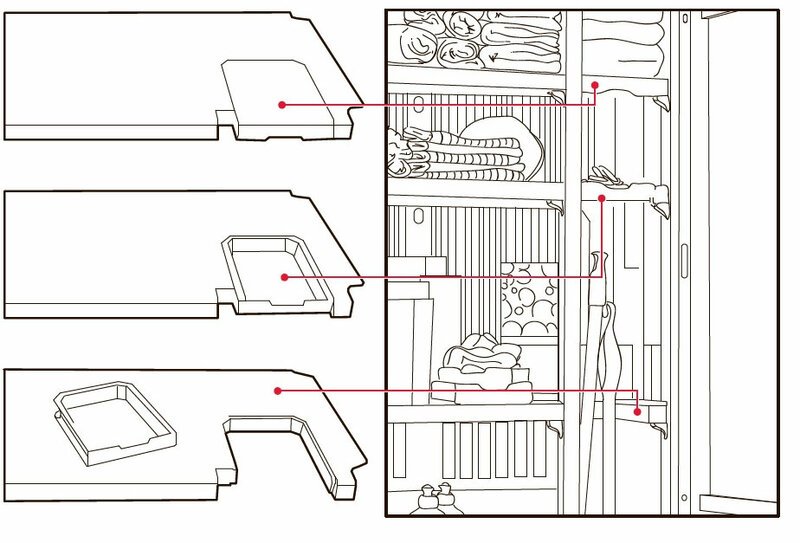 Just remove a section of each shelf you desire to fit in the item. This also means you have handy little containers left over to store bits and pieces. We have a video of how this works on our stores product page. The door seal makes sure you get better protection against dust, water and humidity. With the option of four shelves and the base (each shelf holds up to 30kgs & the base 50kgs) there is plenty of space for that ongoing storage problem. 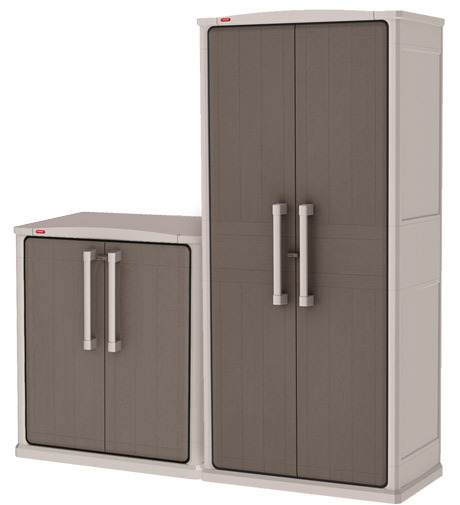 The modern unit is well designed with metal hinges and a lockable handle (extra security) and the two tone colour is beige and taupe – which complements most homes. The external dimensions are: 80.5 cm Wide x 47.3 cm Deep x 177.8 cm high. These units have been purchased to store chemicals, garden implements and supplies, patio storage, garage tools, back door storage, pet feed, shoes, kids school bags and play/sports equipment. Really the list could be endless! Just about to be released is the Keter Optima Mini (also know as the Optima base). 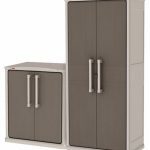 Available for pre-order now, the Optima Mini is designed to be an inconspicuous storage cabinet in its own right or as a partner with the Optima Outdoor providing that convenient worktop or resting spot for checking storage items. The external dimensions are: 80.5 cm Wide x 47.3 cm Deep x 91 cm High. Time to get that clutter sorted and make your place look great at the same time! To order yours or to view more information, click here to visit our outdoor storage page. Do leaves make good compost?